PROVIDENCE, R.I. – The Rhode Island Department of Education (RIDE) announced today that ServeRI will lead 150 Rhode Island volunteers in service projects to honor Dr. Martin Luther King’s legacy. Rhode Island AmeriCorps and Senior Corps volunteers will be joined by hundreds of thousands of volunteers across the country on this national day of service. WHEN: Monday, January 21, 9 a.m. – 3 p.m. 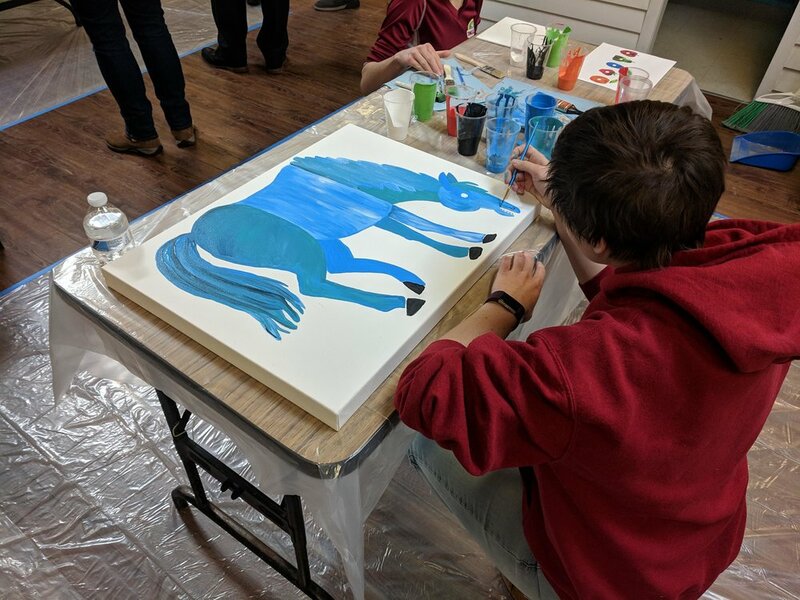 Volunteers will create education kits for families in the Providence Talks program, beautify community center classrooms, and expand space for the Federal Hill House food pantry. The intergenerational service projects will provide time for young adults to serve and reflect with older adults who lived during the lifetime of Dr. King and the Civil Rights Movement. Volunteers come from AmeriCorps VISTA, the Institute for the Study and Practice of Nonviolence, Learning Community, Providence After School Alliance, Teach For America - Rhode Island, Federal Hill House RSVP, and Foster Grandparent Programs. 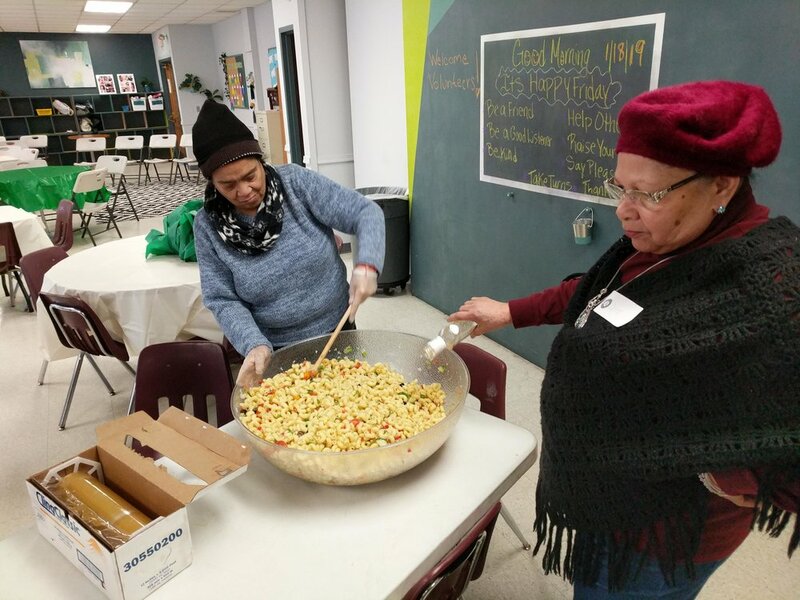 Each year, ServeRI joins the Corporation for National and Community Service (CNCS), the federal agency that leads the annual MLK Day of Service, working with the King Center in Atlanta and thousands of non-profit groups, faith-based organizations, schools, and businesses nationwide. 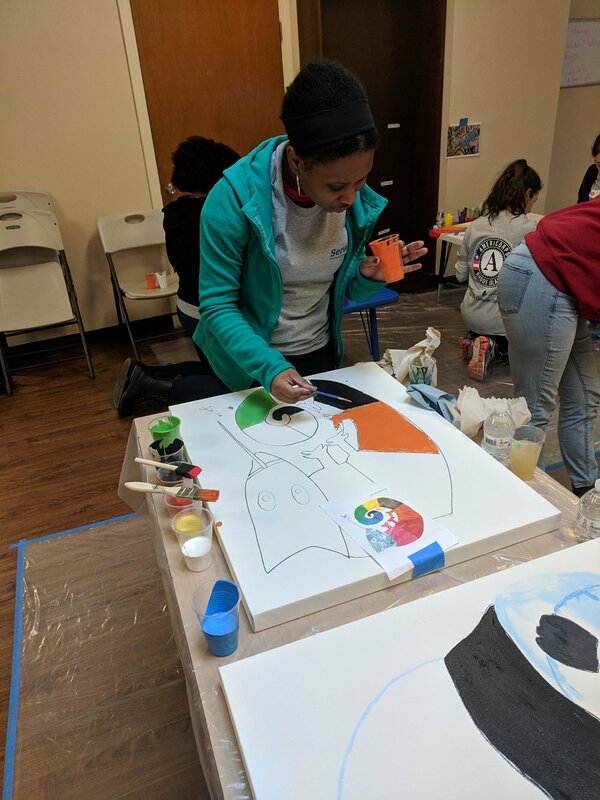 Over the full weekend, AmeriCorps members will participate in service and reflection events at Federal Hill House, as well as at the Providence Children’s Museum and throughout Woonsocket. These projects include public dialogue and promoting nonviolence, refurbishing schools and community centers, and creating learning tool kits for young learners. Check out social media pages for more photos but here is a sneak peak below! Check out this great interview the Providence After School Alliance had with one of their AmeriCorps members by clicking here. Learn about her service and then check out their page on our website to learn more about you could get involved! "We will close lagging achievement gaps (test scores, graduation rates, college completion, gainful employment) when we also close leading opportunity gaps (attendance, school climate and culture, quality curriculum and instruction, early reading fluency, advanced coursework and career credentials). And we need to hold adults accountable for results."